Static tables are sequences of timed static breath holds with no movement during the breath hold. They are designed specifically for accustoming the body to the extreme conditions of lack of oxygen or excess carbon dioxide. As it is probably obvious, what makes us breathe is high level of carbon dioxide. If we want to improve the duration of free diving, we must familiarize our body with the situation where there are high levels of carbon dioxide (CO2) and low levels of oxygen (O2). That is a rather long process but static training will lead to a visible improvement in the long run. Before you begin training static tables, you must measure your personal best because both types of tables (CO2 and O2) are based on it. Your personal best should be measured every 2 months and the tables should be adjusted according to it. You can perform the tables either in water or on the surface. You should perform several warm up breath holds before trying to perform the maximum breath hold. Attention! Violation of the table limits can cause serious and permanent damage to the respiratory system. Do not practice more then one table per day! Never practice more than eight cycles within one table and always practice with someone who is completely aware of what you are doing. Practicing static tables may lead to an LMC or even a black out. This static table enables the body to get accustomed to higher levels of carbon dioxide by decreasing the length of resting time between fixed breath hold periods. The duration of breath hold should not exceed 50% of your personal best and the table should consist of maximum 8 cycles. The table can be adjusted to your ability by changing the breath hold duration to 50% of your personal best or by decreasing/increasing the duration of the initial resting period. The main goals of this table are to reduce the duration of the initial and final resting periods (while maintaining a fixed breath hold duration) and to prolong the duration of the fixed breath hold (while maintaining the same duration for resting periods and while reducing the duration of the initial resting period). This static table enables the body to get accustomed to extremely low levels of oxygen by prolonging the duration of breath holds between fixed resting periods. The duration of the last breath hold in this table should not exceed 80% of your personal best and the table should consist of no more then 8 cycles. This table can be adjusted to your ability by changing the maximum breath hold duration to 80% of your personal best or by decreasing/increasing the duration of resting periods between breath holds. The main goals of this table are to reduce the duration of the fixed resting period (while maintaining the same duration for breath holds) and to prolong the duration of the initial breath hold (while maintaining the same duration for resting periods and while reducing the duration of the fixed resting period). It is important to perform between two to four tables per week – one at a time – Never perform both types of table during the same day. Our pranayama table is aimed at warming up the lungs in preparation for a dive or used for meditation and relaxation. Pranayama are breathing exercises which clear the physical and emotional obstacles in our body to free the breath and so the flow of prana – life energy. Through a regular and sustained practice of pranayama you can energize your whole body! It is best to practice pranayama in the morning on an empty stomach and in a room with fresh air. To experience the real benefits of pranayama you need to develop a regular practice, but just with 20-30 minutes a day you will feel more alive, alert and balanced! Certain kinds of pranayama are not recommended if you have your period, are pregnant or have digestive problems because they involve abdominal contractions with an upward motion. Pranayama with fast rhythms or breath retention should not be practised if you have asthma, heart disease, hypertension or are pregnant. This is not a complete list of precautions, if you have a specific health condition please speak with your health professional or local yoga therapist before practicing. 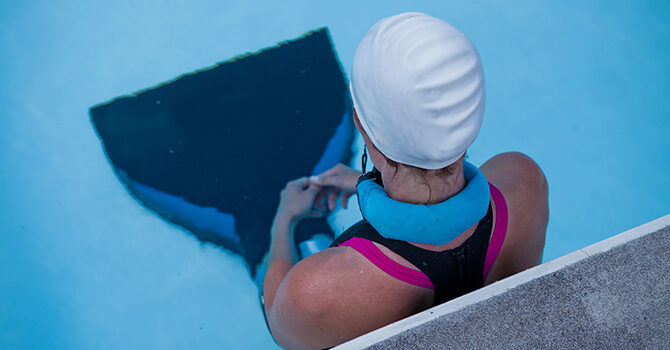 Get Apnea Diver and start practicing today! I’m new to this apnea diver app. This article helps a lot. Thanks. Do you have a program for a laptop with windows 10? sorry, we still don’t have Windows 10 version, but we will start developing it soon.